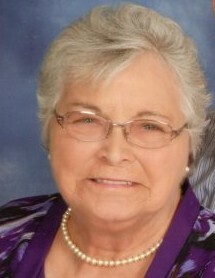 Evelyn Mae Wagner, age 76, of Dallas, GA, passed away on Sunday, October 14, 2018. She was born on February, 15, 1942 in Howard, PA, to the late Joseph Elijah Falls and Lovelean Gladys (Weaver) Wagner, and was also preceded in death by a grandson, William Corman. Evelyn was a faithful member and servant at Pleasant Grove Baptist Church where everyone referred to her as 'Grandmother'. Survivors include her husband, David Paul Wagner of Dallas, GA; daughter, Sharon and Jeff Corman of Acworth, GA; son, Tim Wagner of Hiram, GA; four brothers; three sisters; six grandchildren, Andy Corman, Matthew and Tiffany Corman, Wendi and Blake Hancock, Adam Wagner, Kaitlyn and Daniel Miller, Chelsea Wagner; six great-grandchildren, Shawn Corman, Bradley Hancock, Reghan Miller, Aaron Miller, Zachery Corman, Landon Sparks; numerous nieces, nephews and special friends. Funeral services will be held on Tuesday, October 16, 2018, at 11:00 AM, from Pleasant Grove Baptist Church, with Pastor Rodney Carson officiating. Entombment will follow in Pine Ridge Memorial Park. The family will receive friends at the funeral home on Monday, October 15, 2018, from 5:00 PM until 8:00 PM. In lieu of flowers, donation can be made to Pleasant Grove Baptist Church, "My Father's House" Ministry fund,1167 Angham Rd, Hiram, GA 30141.